If you are searching for an independent and modern gallery, you can consider visiting the Green Man. Since November 2012, it is the home to Hardwick Hall which is a charming building of Victorians right in the centre of town. It’s an art centre which is run and managed by its artist members. The Green Man has been able to establish itself as a breathtaking innovative hub for the local community in the past four years. You can be a part of and appreciate the various programmes of exhibitions, workshops, classes, and performances here. Worth a visit to this funky community gallery and arts space. Volunteer run. Support the local art scene! A very interesting display of local artists work and pieces for sale for varying prices. Definitely somewhere I would come back again with my artist hubby and well worth a visit. Even approach had art made even from milk bottles! 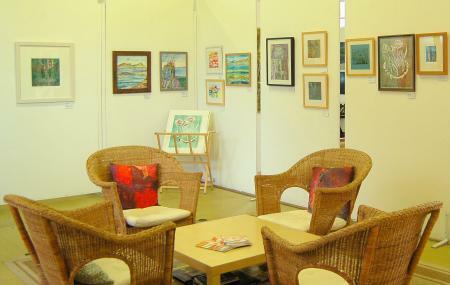 Great place to browse with affordable art and a wide range of different subjects. The artists take turns in manning the gallery and it is great to hear from them. Don't miss it it's right in the town centre and open most days even through the winter months. Wandered in on a rainy Sunday. Great find. Some interesting art to buy of you want, but just as good to just absorb as you wander. A great volunteer run gallery. Enthusiastic staff, some brilliant artists. Music nights are often cheap, with a bar, and fantastic artists.